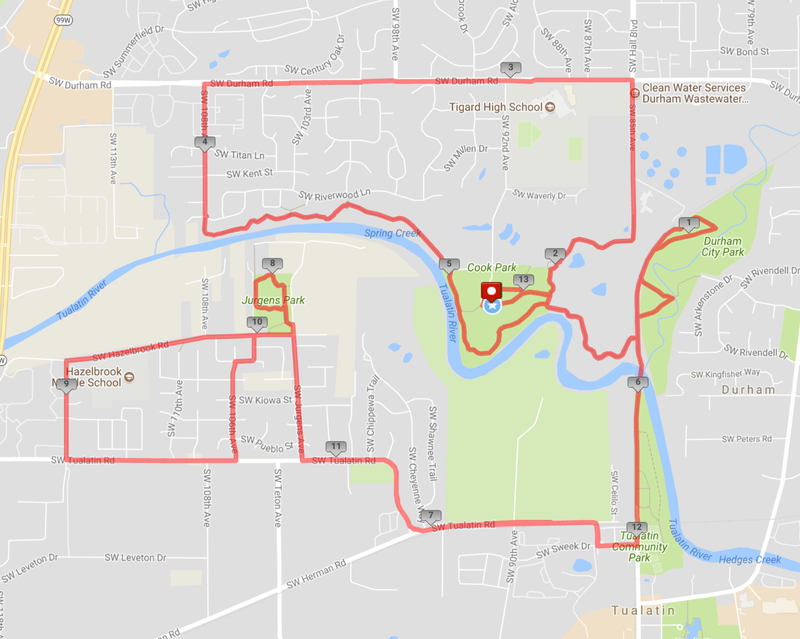 The annual Hero-Up Half Marathon and 5k takes place on Saturday, September 1 in Tigard’s Cook Park. Superhero costumes are highly encouraged, and 100% of net proceeds from the event benefit children’s cancer research. The race starts and ends near the picnic shelter by the entrance to Cook Park. The park is a great place for a race, offering ample parking, flush toilets, and a playground to keep the kids entertained. The half marathon takes off first at 7:30am, followed by the 5k at 8:30am, and the kids’ run at 10am. 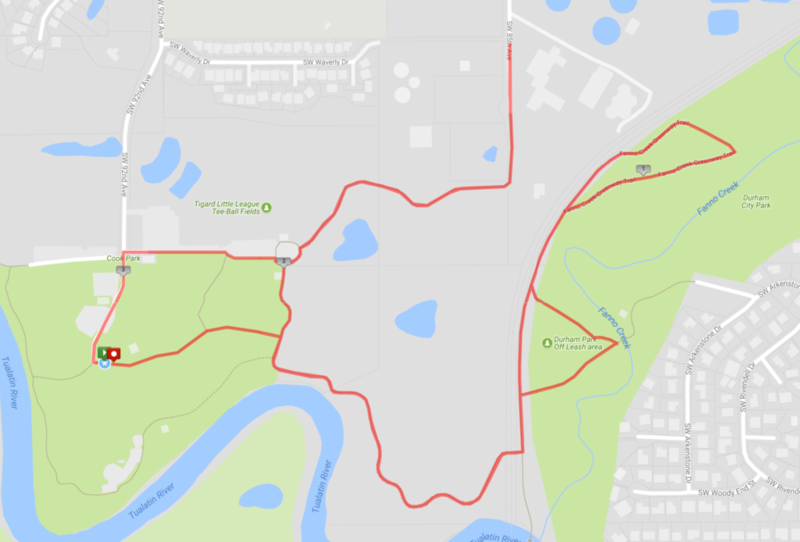 The half marathon course takes participants through the park, on neighborhood streets, along the river, through another neighborhood and back to the park; the 5k course stays entirely on the paved paths within the park. Along the route, there are water/aid stations approximately every two miles, and participants have access to flush toilets in different community parks along the route every 2-3 miles as well. After the race, stick around for the kids run at 10am where the young ones can try to run faster than the Incredible Hulk. There will also be a costume contest, snacks, and Black Rock coffee. If you can’t join the race on September 1st but still want to support the cause, there is also a Virtual Race registration option. 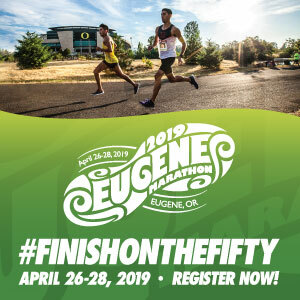 You will be emailed your shirt, bib and medal, and you can run the distance on your own schedule. This race was started as a way to give back to the pediatric oncology community that we were a part of while our favorite superhero, Keith, was battling brain cancer. He loved superheroes and identified with their determination and endurance. The children that face the uphill battle with cancer face the impossible and often do so with grit and fortitude that is uncharacteristic for their small frames. During each year’s race, we would like to honor those special children who have battled cancer by creating a “Trail of Heroes”. This trail, along the race route, will show pictures of those children as a way to remind race participants why this event is so important. This trail is for any child who fought or is currently fighting cancer, regardless of their outcome. One of our favorite aspects of the race is to honor those small children, to remind us of why we do this, and to celebrate those that are still heroing up!! 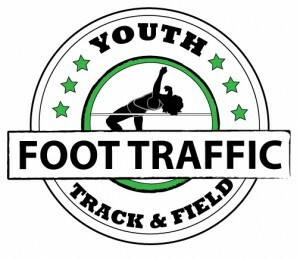 Registration includes: chip timed race, event shirt, post race snacks.